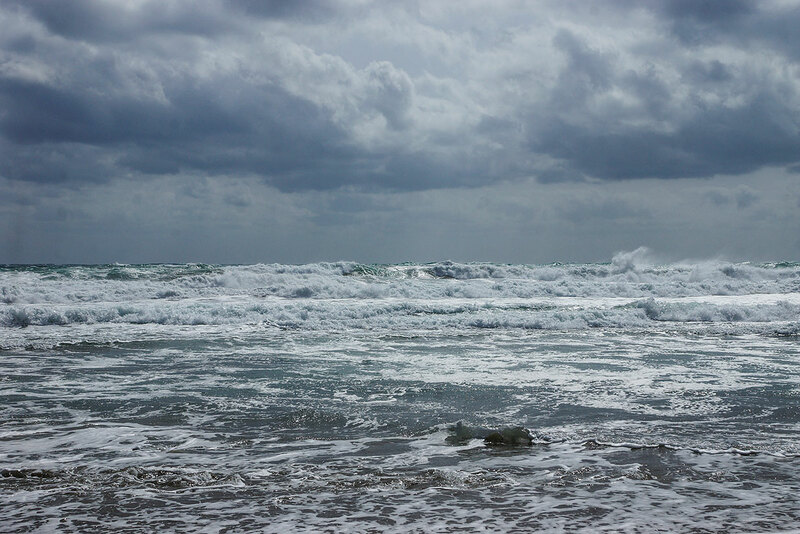 After a glorious Semana Santa when our visitors were basking on the beach, walking our coastal paths and enjoying the laid back atmosphere of Las Negras, gales have pounded southern Spain this week. The sea has been wild, the temperature has tumbled and the beaches are empty. 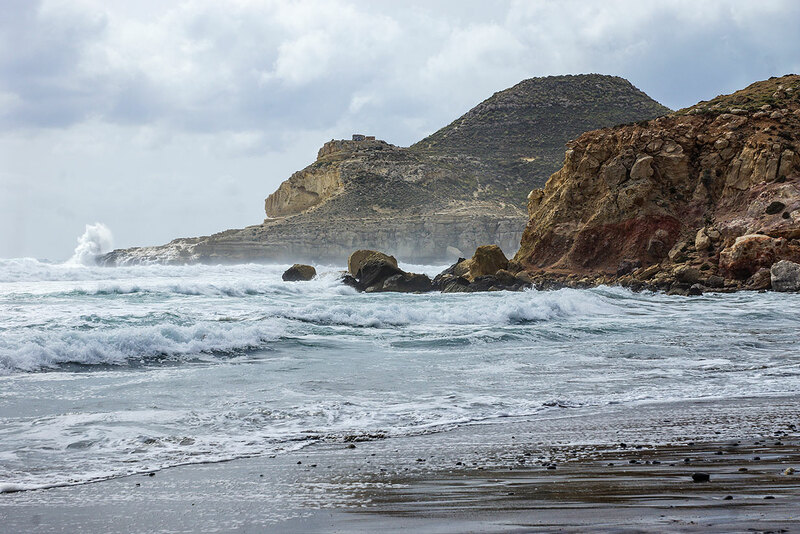 We hope you like these dramatic photos taken at Las Negras this morning. As always the sun has made an effort to come out and lit these photos. We are promissed that normal weather will return for the weekend when Las Negras will be hosting its annual, 11 day visit from the botanists of Kew Gardens for the 27th time. If you click on the images they will enlarge. 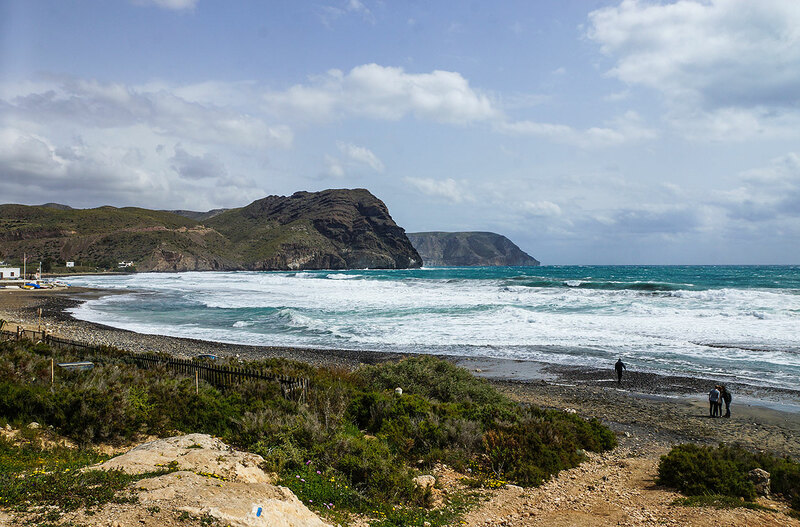 This entry was posted in Uncategorized and tagged Almeria, Andalucia, beach, Cabo de Gata, gales, Las Negras, Parque Natural, playa, sea, Spain, weather. Bookmark the permalink.